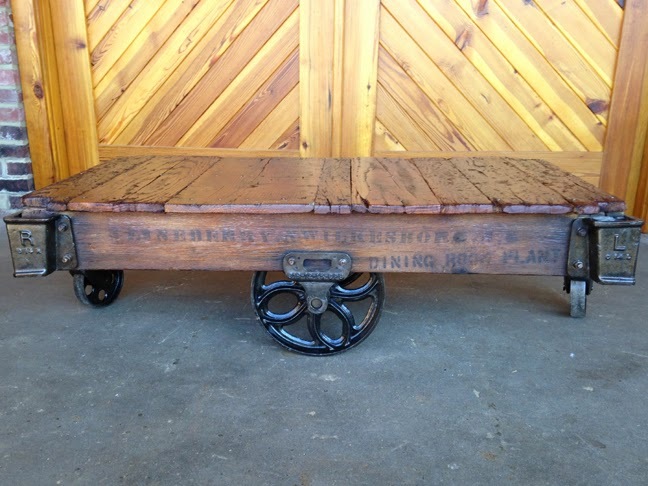 This new coffee table, just out of the shop, was made from a Lineberry furniture factory cart with the (whatever you like to call them) Fleur, Floral, Daisy-style wheels. 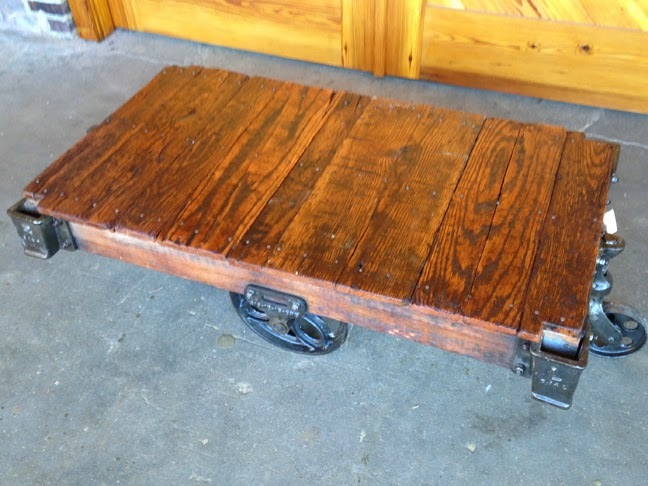 The wood grain on the original oak top gives it a rich texture, and this cart was clearly used in the division of the furniture factory which specialized in dining room items. How fun is this?